Fleet Feet Sports Atlanta is proud to announce a partnership with Camp Strong4Life through Children's Healthcare of Atlanta to assist in raising scholarship funds to help send children to its camps throughout the year. Camp Strong4Life gives kids struggling with their weight a camp where health and wellness meet zip-lining, swimming and fun. In a real outdoor camp setting, our fully-trained staff teaches kids the basics of getting healthy with a range of activities that inspire lifestyle changes and family involvement. Plus, camp gives them the support they need to start a lifetime of making healthy choices. 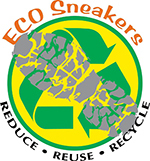 We are also proud to partner with Eco Sneakers to provide shoe donations those in need. For each pair of shoes donated at Fleet Feet Atlanta, Eco Sneakers will donate 50 cents to our Strong4Life scholarship fund! We would love for you to help support this initiative in any way possible to better our Atlanta community!